Independent Living is ideal for residents who enjoy a more active life, but who appreciate all the little things we can handle for them. In your private apartment, housekeeping and laundry are available — and, you can enjoy dining in one of our dining venues. Enjoy events and activities within the community or relax in one of our many lounge areas. Amenities include a theater, beauty salon, fitness center and recreation areas. 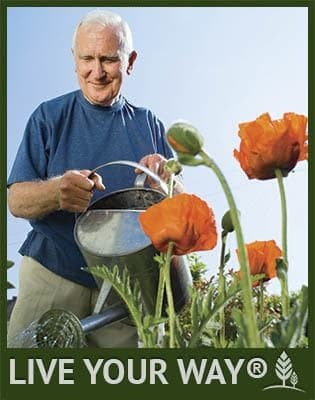 Assisted Living at The Oaks at Nipomo provides additional personalized services and care. The Oaks at Nipomo offers the comforts of your own private apartment, with the peace of mind of extra help with medication management, bathing, dressing and more.